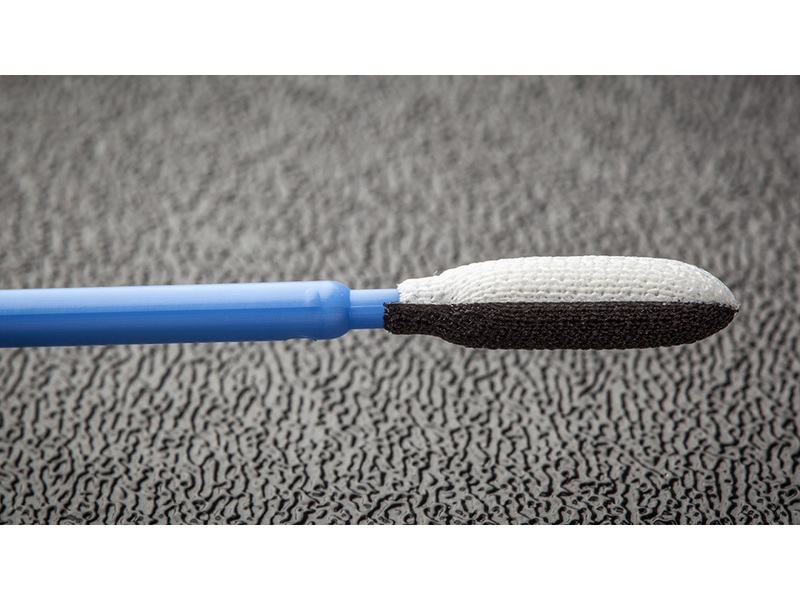 PolySWAB polyester fabric over foam Swab. 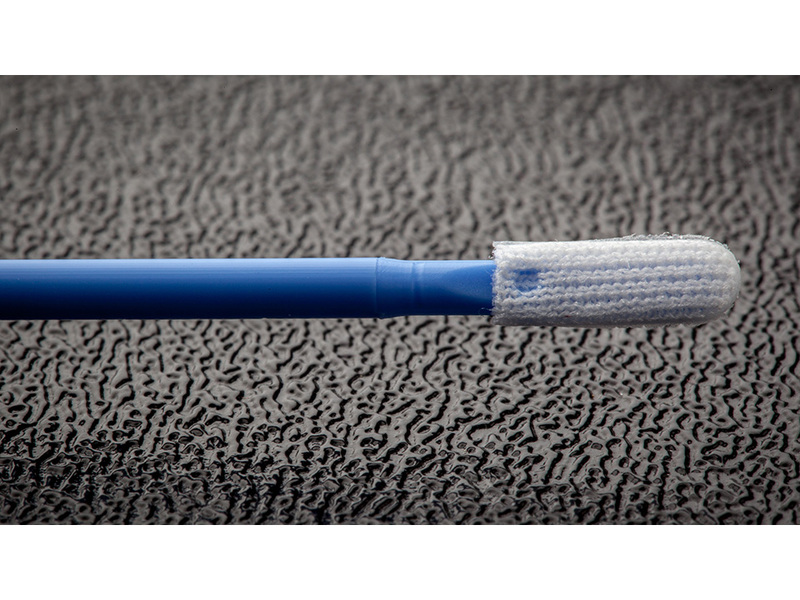 PolySWAB™ 1500 and 1600 Series Polyester Swabs feature a patent-pending polyester fabric over foam tip thermally bonded to a polypropylene shaft resulting in a swab that is soft, conformable to work surfaces yet both resistant to abrasion and solvents. PolySWAB™ is also available with tips fabricated from 100% fabric for applications requiring prolonged exposure to solvents such as Acetone, Ethyl Ether and NMP. 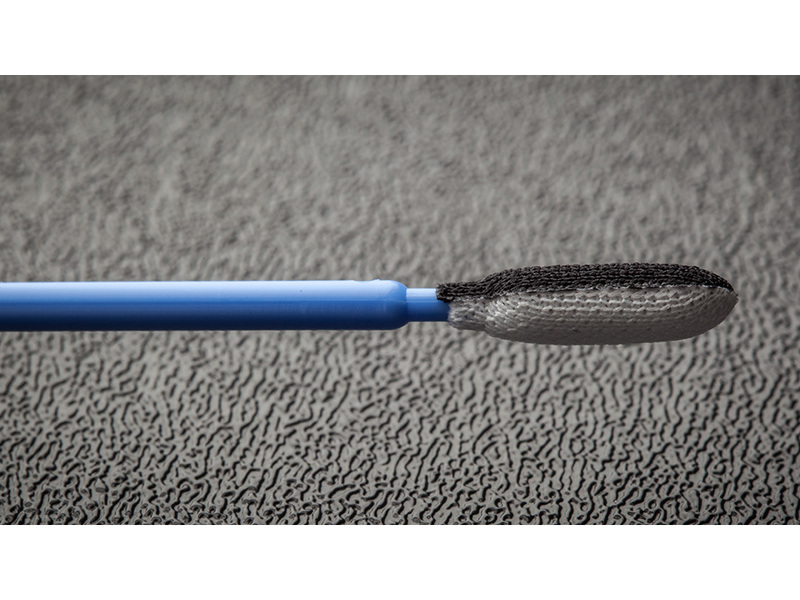 Tip options include a heavy weight textured fabric for applications requiring streak-free cleaning. 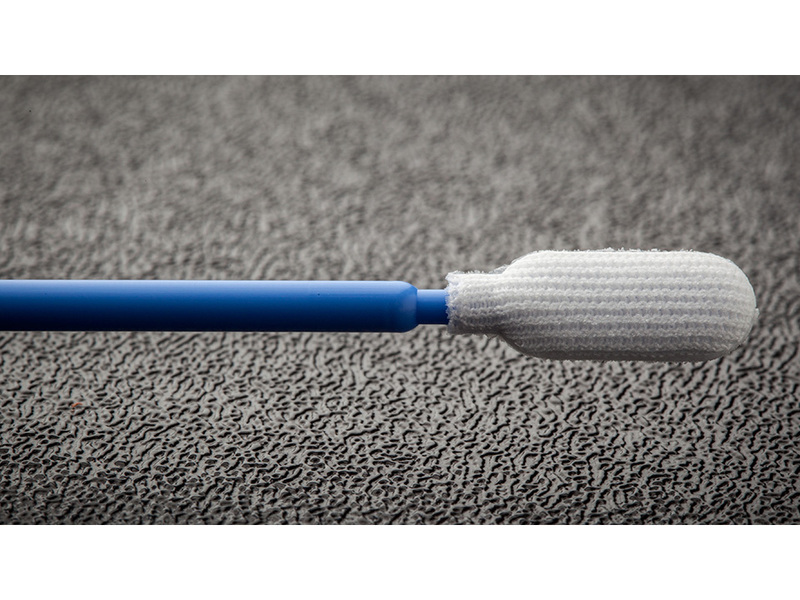 • Available in multilayer tips where softness and conformability are important. • Textured fabric tips enable excellent removal of difficult to remove stains and particles. • Proprietary cleaning process ensures low extractable for streak free cleaning. • Cleaning stains and particles from scratch sensitive optics and optical assemblies. • Cleaning applications that require Acetone, MEK, NMP and Kyzen. 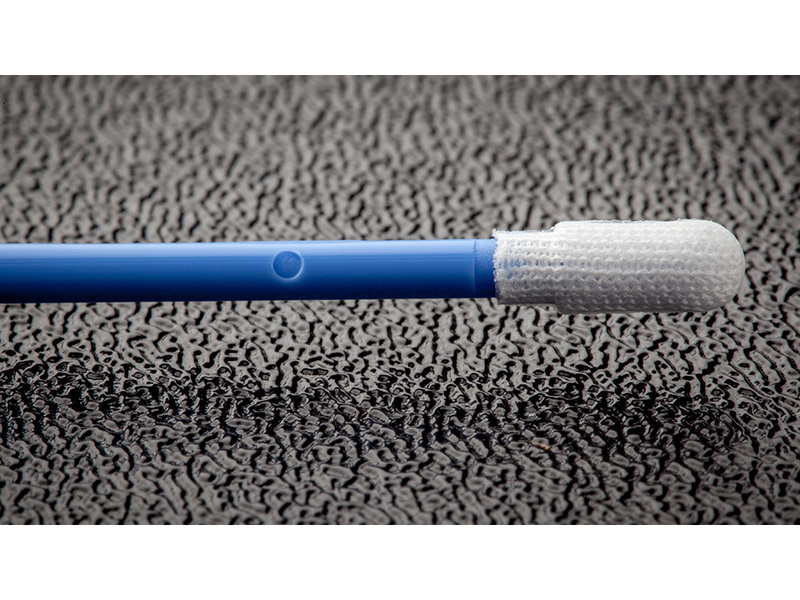 • Cleaning blind surfaces such as O-ring grooves and ink jet print heads. • Removing excess materials in fine assembly operations.